The UberRush delivery service is now available to any business, big or small. Uber wants to be the default delivery service for small businesses in the United States. The car-hailing service/budding transport company just announced that any business can now use its UberRush application program interface (API). 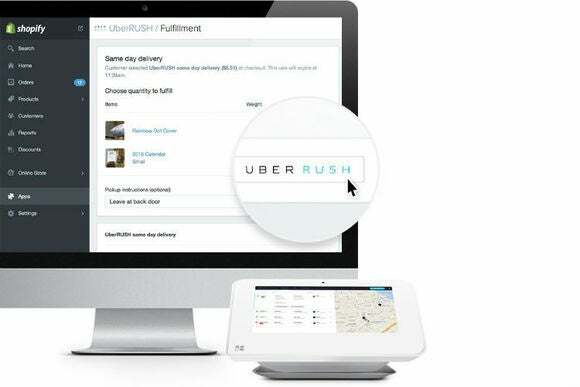 What that means for you is more deliveries from UberRush are likely headed your way from the online and mobile app-based services you use. If you live in one of UberRush’s delivery cities that is, which right now includes just Chicago, New York, and San Francisco. Uber says businesses will be able to add UberRush as part of their service with “just a few lines of code.” The company says a number or small businesses and startups are already integrated with UberRush. A local food delivery service in New York City uses UberRush to get their deliveries out, as does a dry cleaning and laundry service in Chicago. UberRush is also used by a number of big name companies and services including Nordstrom, 1800flowers, and Google Express. Why this matters: The UberRush API opening to all businesses is a reminder that Uber’s plans go beyond competing with the world’s taxis. As UberRush expands, more local businesses will be able to use it, and Uber’s reach as a go-to transport service will likely grow. Instead of managing a small group of delivery people in cars or on bicycles and all that entails—hiring, firing, and illness replacements, insurance—businesses will be able to use an on-demand delivery fleet when necessary. Meanwhile, businesses relying on daily pickups from a traditional courier service will have a more flexible option. Uber isn’t the only company hoping to dominate local delivery. Startup Deliv offers same-day delivery service with a similar model to Uber’s, and it’s likely only a matter of time before Lyft rolls out a delivery service too. In fact, earlier in June Walmart and Sam’s Club announced tests for a “last-mile” delivery service in select areas using Uber, Lyft, and Deliv.